This doesn’t require words. All my friends think the same thing, and well it’s true. 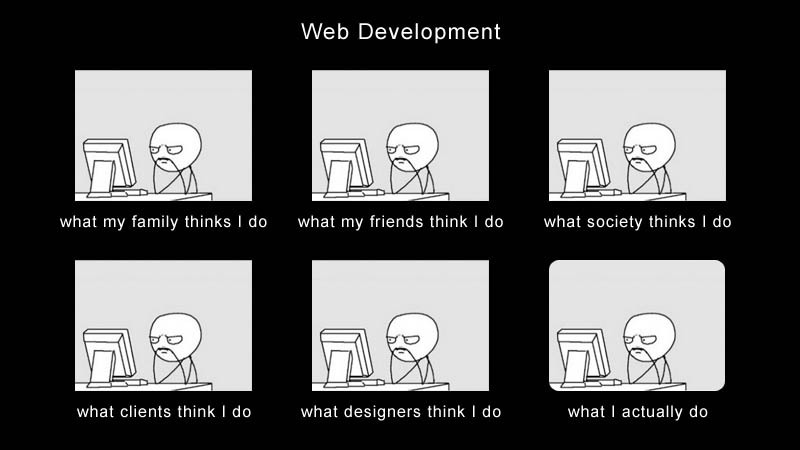 The life of a web developer is pretty much exactly what you think it would be.